How much is Sergio Pérez Worth? Sergio Pérez Net Worth: Sergio Pérez is a Mexican racing driver who has a net worth of $30 million. 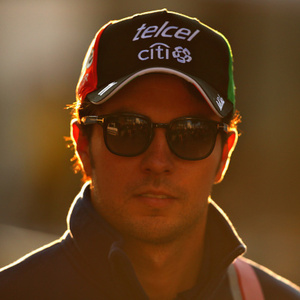 Sergio Pérez (Mendoza), also known as "Checo" Pérez was born January 26, 1990 in Guadalajara, Jalisco, Mexico. Sergio "Checo" Pérez took to the wheel of a kart for the first time at the age of six, but he was born into the world of motorsport. His father Antonio also raced cars before managing the career of Indycar and sportscar driver Adrián Fernández. By the age of nine Sergio was already racing in shifter karts, having won in the junior categories. At 14 he moved up into single-seater cars, competing in the US-based Skip Barber National Championship with the backing of Mexican business magnate Carlos Slim's Escuderia Telmex. In 2005, he moved to Europe to compete in Formula BMW, spending four months living in a restaurant owned by his team boss. At the age of 17 he relocated to Oxford for the beginning of a two-year campaign in British Formula 3. Pérez won the National Class (for older chassis) in 2007 and finished fourth in the International Class in 2008, graduating to the Formula 1 feeder series GP2 via the GP2 Asia Series; he claimed a lights-to-flag victory in his very first race in Bahrain. In only his second year in GP2 Sergio won races at Monaco, Silverstone, Hockenheim, Spa-Francorchamps and Abu Dhabi, ultimately finishing runner-up to Pastor Maldonado. Both drivers then graduated to Formula 1, and in doing so Sergio became the first Mexican to compete in the World Championship since Héctor Rebaque in 1981. Pérez' F1 debut in 2011 yielded a points finish for the Sauber team and he rapidly established a reputation as a fierce competitor, even challenging Fernando Alonso's Ferrari for the lead in the Malaysian Grand Prix in 2012 and running at the front at Monza. Perez's helmet design is based on a Mexican flag and it changes every season.